Getting good gut health back again. Breakfast: Green smoothie combining good quality fats, protein and low blood sugar raising carbohydrates. Cucumber, Lime juice, Frozen blueberries, Water , Vanilla extract , Sea salt , Raw honey, Mixed spice ( cinnamon, ginger, coriander, dill seed, nutmeg, cloves) . Morning walk across the heath. Treatment: Castor oil compress to help detox liver and gut health. . Always starting each meal with digestive bitters and sauerkraut for digestion. Finishing lunch each day with probiotics. Favourite yoga class with @suewoodd . Dinner: Beetroot soup, roast cod with butterbeans and chorizo and roasted cauliflower. Then keeping a healthy gut is super-important when you may not be feeding your gut with the best food choices. Probiotics are live bacteria found in fermented foods. 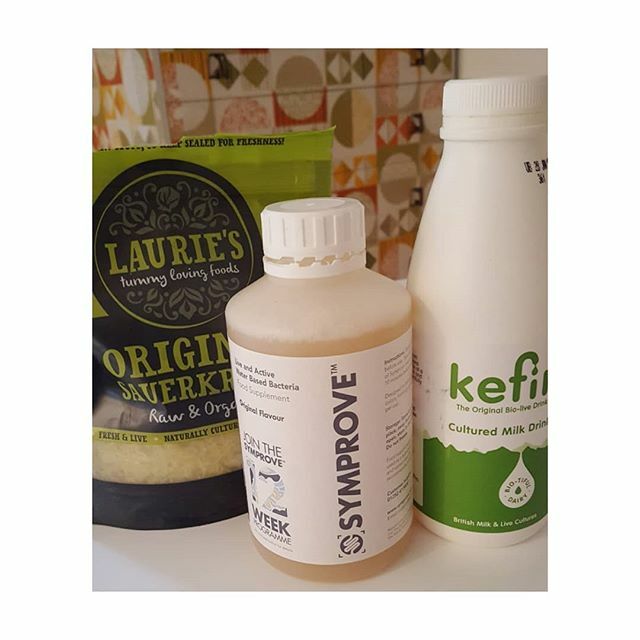 Fermented foods and probiotics are proven to help gut health which in turn create your overall healthy body and mind. 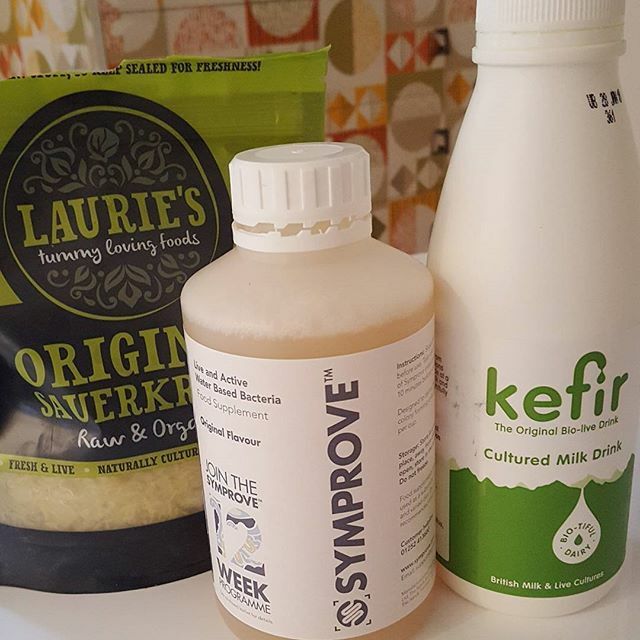 These include Kefir which is fermented milk and Sauerkraut which is fermented cabbage. Symprove is also a probiotic.